FORT WORTH– The recent recognition of an atheist student organization and the public promotion of different faiths have led some to question the religious policies of Texas Christian University (TCU). As previously reported, in February, a 32-year-old transfer student at TCU submitted paperwork to form an atheist and agnostic group called the “Freethinking Frogs.” This act generated widespread media attention, with outlets like Fort Worth Weekly, The Houston Chronicle, Patheos and WORLD Magazine all running articles on the development. Since then, TCU officials reviewed the students’ application, and this spring, quietly granted the Freethinking Frogs recognition as an official student group. As a student organization, members of the Freethinking Frogs are allowed to use TCU’s on-campus facilities for their weekly meetings and other events. Furthermore, the university’s Student Organization Handbook states that recognition is not granted to a student body “if the policies and practices of the organization are in conflict with the University.” Thus, even though recent posts on the Freethinking Frogs’ Facebook page call intelligent design “non-science” and claim the concept of eternal life is a “powerful albeit deceitful idea,” the group is evidently not at odds with TCU policies and practices. 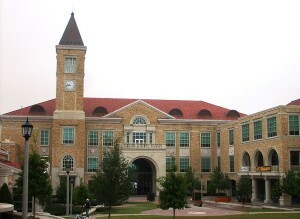 When asked by Christian News Network how this decision to recognize the Freethinking Frogs comports with TCU’s standing as a private Christian school, university spokeswoman Lisa Albert emphasized that the unbelieving students followed all the appropriate procedures in applying for recognition, and were thus granted official acceptance. Additionally, she explained that TCU openly encourages all students to explore a wide spectrum of ideas and beliefs. Not only does TCU endorse such controversial organizations, but the university’s “Religious and Spiritual Life” branch has promoted non-Christian causes and organizations on social media sites. For instance, in April, the university shared a link on their “Faith and Spirit” Facebook page from the “Muslims for Peace” website with a pro-Muhammad message. As TCU attempts to both receive Christian Church funds and welcome various religions — including atheism, some alumni are not happy with the apparent duplicity. Larry Morton, a 1973 TCU graduate, recently mailed a letter to The TCU Magazine, in which he criticized the university’s choice to move away from steadfast Christianity.